Safeway Weekly Flyer February 13 - February 19, 2019. Love Is In The Air! 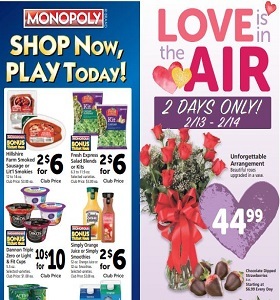 Safeway Weekly Flyer February 13 – February 19, 2019. Love Is In The Air! -$3.99 Reser’s Potato or Macaroni Salad; 4/$5 Silk or So Delicious Yogurt.